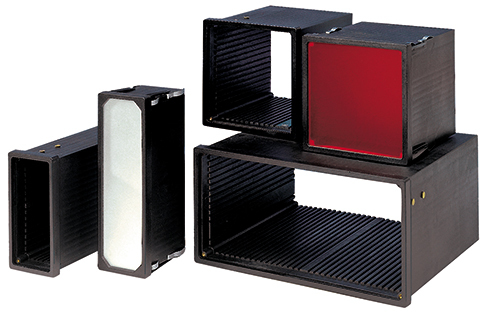 Instrument panel enclosures are moulded in black fibreglass filled Noryl™ and have been specially developed for measurement and display technology in accordance with DIN 43700. Internal PCB guide grooves are situated all the way round the enclosure result in universal applications for circuit board installations. A front frame for the use of different front plates, such as aluminium or fibreglass, is also available. 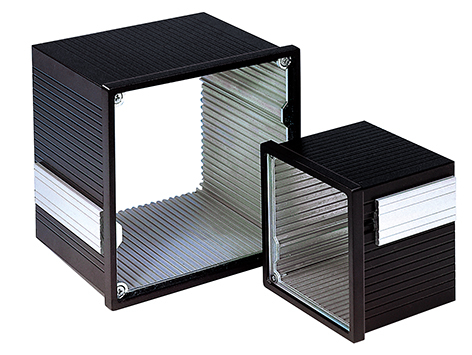 If Box Clever Components can help with your enclosure requirements, please call us on 01525 852137. What are Instrument Panel Enclosures? 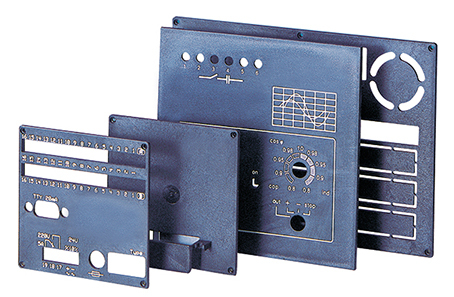 Instrument panel enclosures are boxes that that house electronic instruments and components. Designed to be robust and lightweight they are usually used with desktop or handheld instruments. Instrument Panel Enclosures are often found in industries where machines need to be monitored or controlled. These days many are touchscreen, but older equipment uses push buttons and analogue instruments. Instrument panel enclosures are used for the protection of electric and electronic components such as transformers, operator panels, circuit breakers, timers and many more. When choosing the ideal enclosure you need to consider the size and shape required, and also environmental protection from elements such as foreign objects, dust, water, oil, chemicals, and rain When considering quality of protection, material type and professional rating systems should be used. You may also need to consider insulation, ventilation and stackability. Instrument enclosures and electronic enclosures come in many shapes, including rectangular, L-shaped, T-shaped, slanted and readout style. Box Clever Components offer a huge range of enclosures and also custom designed enclosures to they can be made uniquely to your requirements and specifications. Enclosures are also available in a range of materials to offer differing levels of protection and durability. Metals such as stainless steel and aluminium are used. Stainless steel is strong and malleable and resists corrosion. Aluminium is more conductive, oxide resistant, cheaper and more lightweight than steel. All metals generally exhibit higher conductivity to both heat and electricity than other material types. such as ABS, Fibreglass and Polycarbonate are also used in the manufacture of instrument panel enclosures. Different polymers are used depending on the strength, resistance to temperatures, impact strength and ease of fabrication.